Where can I train as a chef in Spain? The popularity of MasterChef and other cooking programmes has produced a flood of new students wishing to receive training in restaurant activities and culinary arts. All the Autonomous Communities offer certificates in vocational training, ranging from the most basic offer for pupils who have not passed Obligatory Secondary Education to middle or higher certificates in cooking and restoration. If what you are looking for is training in culinary arts with university or international recognition, keep reading to find out about the best cookery schools in Spain. The Basque Culinary Center in San Sebastián was founded in 2011 and was the first cookery school to offer an official university qualification in gastronomy. Linked to the University of Mondragón, this four year degree offers an intensive program of tutored practicals in the best national and international restaurants, from the outset. As well as the university degree, the training offered by this institution is complemented by masters, specialisation courses, workshops and summer courses for professionals. New this year is the first Master of Food Tourism, organised by the Basque Culinary Center and the World Tourism Organisation. With more than 45 years of experience, the CETT is one of the best established schools of hospitality and restoration in Spain. The training on offer ranges from middle certificate vocational cycles to a Culinary and Gastronomic Sciences Degree and a Master of Hotel Management and Catering. This education centre also offers university extension courses, short courses and international programs in the field of gastronomy. The CETT has a jobs bank in more than 900 national and international businesses. The Cordon Bleu school in Madrid allows students to obtain the prestigious Grand Diplôme Cordon Bleu in just 30 weeks of training, which can be commenced at any of the four annual calls for entry for January, April, July and October. The Grand Diplôme Cordon Bleu consists of the basic, intermediate and higher certificates of the school’s cooking and patisserie diplomas, which can also be obtained individually. The school also offers a diploma in bakery and short, gourmet courses for cooking enthusiasts. The courses are held in Spanish and English with a simultaneous interpreting service. The Escola Superior d’Hosteleria de Barcelona is a private trust linked to the Restaurant and Hotel Guilds of Barcelona. It offers middle certificate Vocational Training courses in cooking and gastronomy, bakery, patisserie and confectionary. It also offers a higher certificate in kitchen management and restaurant services management. The Ferran Adrià Chair of the UCJC has a complete online training program offering professional nutrition and cookery courses and single-field specialisation courses. These specialisation courses in gastronomy, aimed at professionals, require no previous qualifications and permit the obtention of a certificate of the The Ferran Adrià Chair of Gastronomic Culture and Food Sciences. 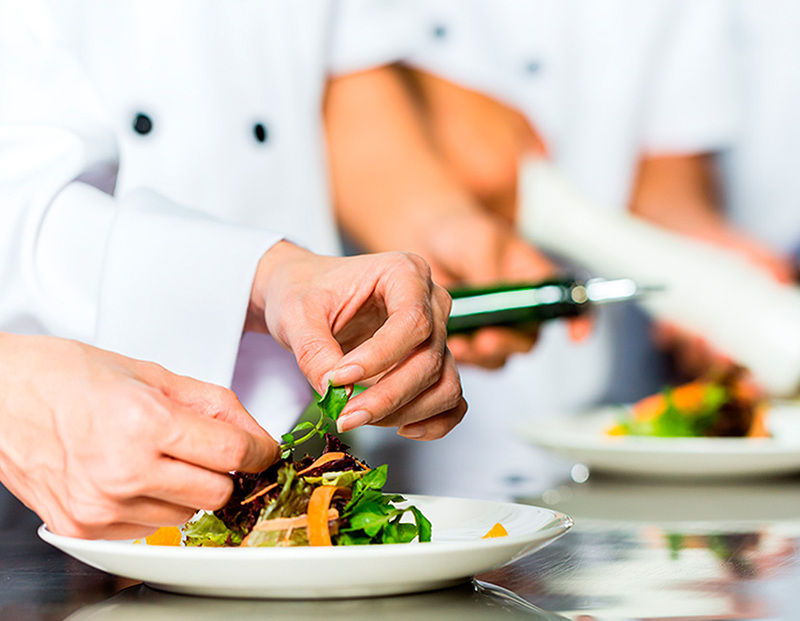 If you are thinking of becoming a professional chef or of consolidating your professional experience with training and qualifications, we wish you all the best and hope that this article has been of use to you. Do share your experience with us and continue to visit Fagor Industrial’s blog to keep up to date with the latest news from the hotel and restaurant sector. How can I advertise my restaurant?